Staff have been working on a new concept to revitalize Ryerson radio, which was an integral part of Toronto’s community for three decades. 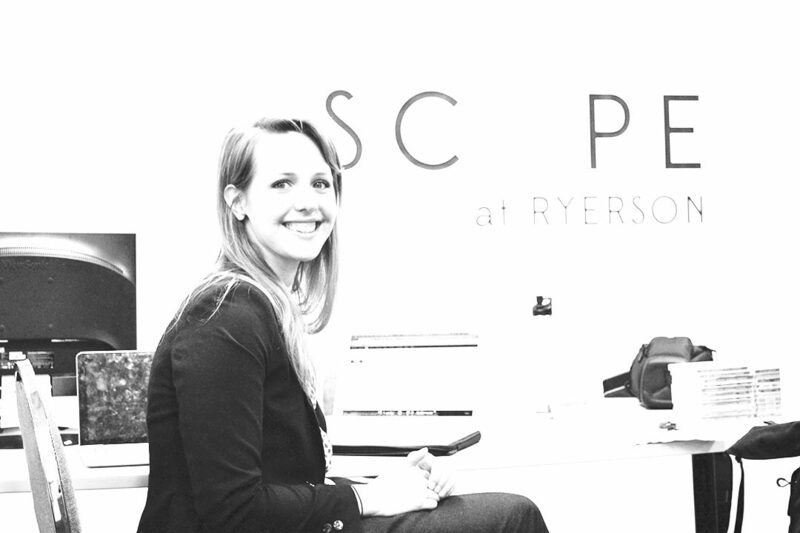 Radio is back at Ryerson with the launch of its new radio station The Scope, but it won’t be hitting the airwaves just yet. Station manager Jacky Tuinstra-Harrison says the station is still in the application process for an AM licence. In the meantime, the station will be broadcasting its content online, including punk and metal music shows, technology and gaming programming and live coverage of athletic events. Plans for The Scope greatly differ from Ryerson’s previous radio station, CKLN-FM, which was shut down in August 2011. Since then, staff members have been working on a new concept to revitalize Ryerson radio, which was an integral part of Toronto’s community for three decades. “CKLN had become more of a community station and two-thirds of their funding had come from outside of Ryerson,” said programming manager Elissa Matthews. But their station management crumbled and the CRTC revoked its FM licence. “There were duelling boards of directors, neither of which had anything to do with the university or students,” said Tuinstra-Harrison. So she formed a team in 2012 to rebuild the station after failed bids to reclaim CKLN’s 88.1 FM frequncy. Her new aim was to apply for a spot on AM radio instead. Emily Joveski, volunteer co-ordinator at The Scope, has been preparing for launch day. The radio board consists of the dean of the Faculty of Communication and Design (FCAD), the chair of RTA and the dean of the Ted Rogers School of Management (TRSM), as well as the current Ryerson Students’ Union (RSU) president. University students and volunteers will help steer The Scope away from what CKLN had become. This story was first published in The Ryersonian, a weekly newspaper produced by the Ryerson School of Journalism, on September 11, 2013. This story has been corrected to reflect Industry Canada’s role in the radio licensing process. Ryersonian reporter, Master of Journalism graduate 2014.